According to the 2015 Gross National Happiness (GNH) survey, 43,4% of the Bhutanese are considered happy. This figure is the outcome of the survey by the Centre for Bhutan Studies and GNH research for 2015. During the survey, researchers interviewed 7.153 respondents, asking them 148 questions each to distill their GNH. The number came about via a complex methodology, which is about a lot more than just asking people about their life satisfaction. 8.4% of Bhutanese are ‘deeply happy’ (or scoring over 77% of the weighted indicators), against 8.3% in the 2010 survey. Only 8.8% are considered ‘unhappy’ (below 50%) in 2015, while in 2010, 10.4% were unhappy. People are happier in urban areas and the improvement is stronger in urban areas than in rural areas (the survey is designed to be representative for both the urban and rural area in every of Bhutan’s 20 districts). This is quite remarkable given the quick modernisation and urbanisation. As CBS researcher Thsoki Zangmo told me, Bhutanese living in cities score better on living standard and education, but worse on community and cultural indicators. This might suggest that the departure of people to the city affects community life in rural place of origin more than in the city, the destination. But these findings are provisional – the CBS will publish more detailed analysis next year. And, Tshoki says, we need more data points to really understand these factors. Therefore, the survey will be repeated every three of four years. Confusingly, no less than 14 individual domains and indicators show decreases. However, these are more than offset by (larger) increases in 11 indicators. Roughly, ‘harder’ domain as living standards and health improve, while ‘softer’ ones like community vitality and psychological well-being decrease. A final remarkable finding is that the young Bhutanese democracy – established 2008 – quickly has created a complex relation with politics. As Prime Minister Tobgay didn’t shy away from mentioning, the perception of government is down by 48 percentage points. Both Tobgay and the researchers contributed that to the euphoria about the new democracy resulting in a high score in 2010, whilst electoral bickering in 2013 may have reduced the number in the 2015 survey. At the same time, however, the satisfaction with government services has increased by 20 percentage points. In short, Bhutanese are very satisfied with public services delivered by a dreaded government! 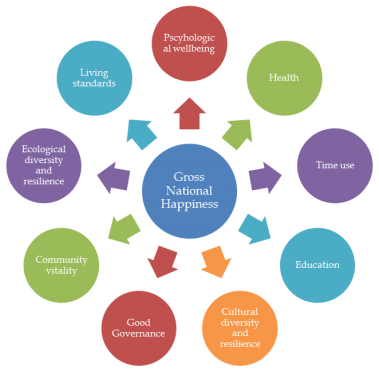 I’ve already written about the concept of Gross National Happiness (GNH) a lot. But attending the international GNH conference in Paro, Bhutan, I have improved my understanding of what GNH really means. In a couple of blog posts, I want to outline the methodology, the 2015 survey findings, and the actual use of GNH as a policy tool. Let’s start with the methodological part here. It’s a bit more technical exercise, but at least it helps to understand what we are really talking about when referring to GNH and where the numbers come from. If you’re interested in the results for 2015, be patient for a couple of days. the domain education is measured via asking respondents about the variables literacy, schooling, knowledge about certain areas, and values. The conference tent, with the stage in the front, seen from my seat among a group of local high school students. A couple of years ago I heard about an idea that eventually changed my life. That idea was Gross National Happiness (GNH). It sounds dramatic, but it is true. I must have heard about it before, but I was first truly captivated by the idea of GNH through a TED talk by Chip Conley with the title ‘Measuring What Makes Life Worthwhile’. At the time, I wrote a blog post for TEDxAmsterdam making the case to measure happiness and change the state. No, the rest was not history. 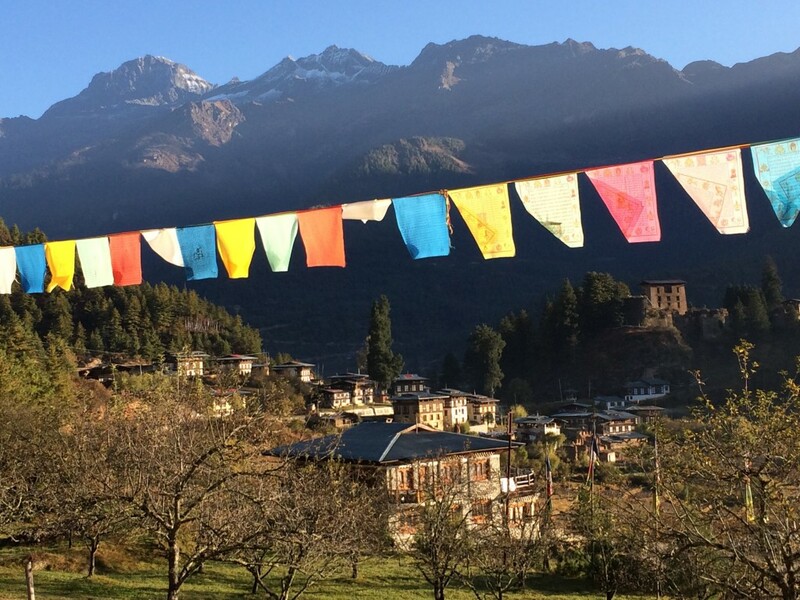 But everything that followed brought me to the creation of this blog, my coming of age as a happiness researcher and speaker, and ultimately to my trip to Bhutan to explore GNH. Because indeed, four years after this first blog post, I finally have the chance to travel to Bhutan. I’ll be in the fortunate position to attend a conference on Gross National Happiness “From GNH Philosophy to Practice and Policy” at the Centre for Bhutan Studies. The CBS is a research institute on Bhutan and GNH, based in the capital Thimphu. While GNH as an idea dates back to the 1970s, it has been developed more thoroughly in the 2000s and 2010s. The 2012 GNH survey found that 8% of Bhutanese is ‘deeply happy’ and 32% ‘extensively’ happy. 48% of the 700,000-odd Bhutanese citizens scores ‘narrowly happy’, which means achieving a sufficient level in 50% of the 33 indicators. Only 10% of Bhutanese is unhappy. GNH is not only something that is being researched and benchmarked. 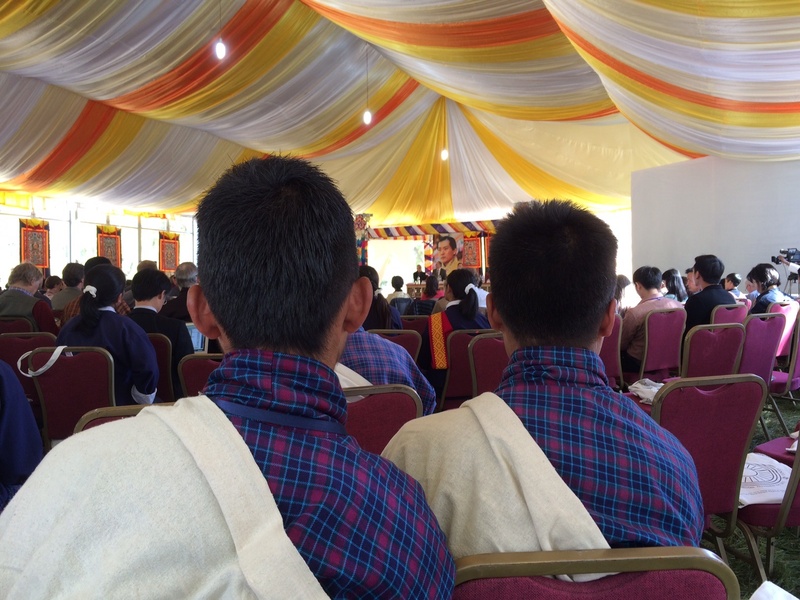 Importantly, the policy requires that new government proposal need to be assessed for their impact on GNH. For instance, Bhutan has decided not to join the World Trade Organisation (WTO) after a finding that it would not contribute to GNH. Making a dream come true is risky. It can be dangerous to make a trip I’ve so long looked forward to. Due to GNH, Bhutan has long been a darling of Western travelers looking for philosophy, spirituality, and ultimately, happiness. 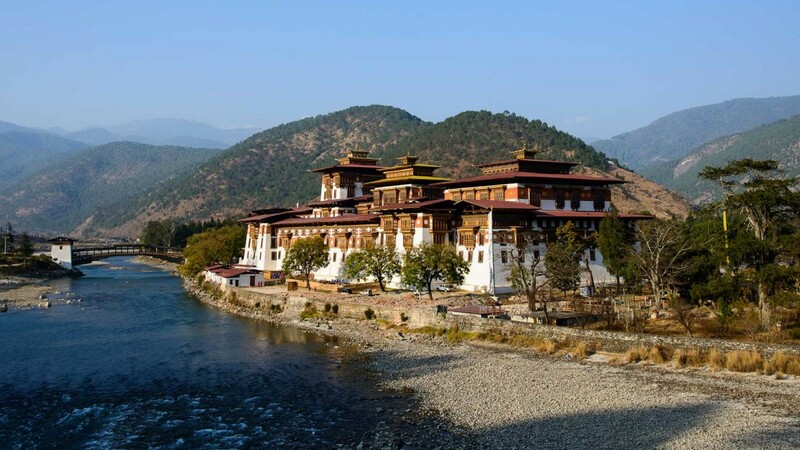 Some Western observers have idealised or ‘Shangrilised’ Bhutan as a country. Others, on the other extreme, have criticised the country as hypocrite for its low level of development, the use of GNH as an excuse for a failure to meaningfully increase the quality of life, or for ethnic violence in the 1990s. Only when I am there I’ll know whether I am falling in either of these traps. Tobacco advertising and smoking are forbidden – but in 2011, there was an outcry when a monk was sentenced for three years for smuggling in chewing tobacco for a value of $2.50. There is a target of 100% organic crops – but many food products are imported from India. Economic development is a policy objective – but self-owned business are seen as ungenerous to the collective. Anti-litter laws are strict – but citizens ignore them. Well, all I can do is promise to share my experience upon my return. And for the mean time, I’ll leave you with a documentary that made a great impression on me. In a few words, it shows how Bhutan as a country is struggling with the arrival of modern times. Or more precisely, with the arrival of TVs – replacing yaks – in the countryside. Only ten days to go until the European elections start! From 22 to 25 May, around four hundred million voters from Lisbon to Tallinn and from Dublin to Nicosia can vote for the European Parliament. In a year still tainted by the economic crisis, employment and growth promise to one of the most important topics for those people who bother to vote. The campaign is going slow, and at least on the EU level, it is hard to see a clear difference between the lead candidates. But why is there no debate about happiness in the EU elections? An economic crisis as the one we’re now gradually recovering from is not only pain. It is also an opportunity to reflect on our policies: never waist a good crisis, as the cliché goes. 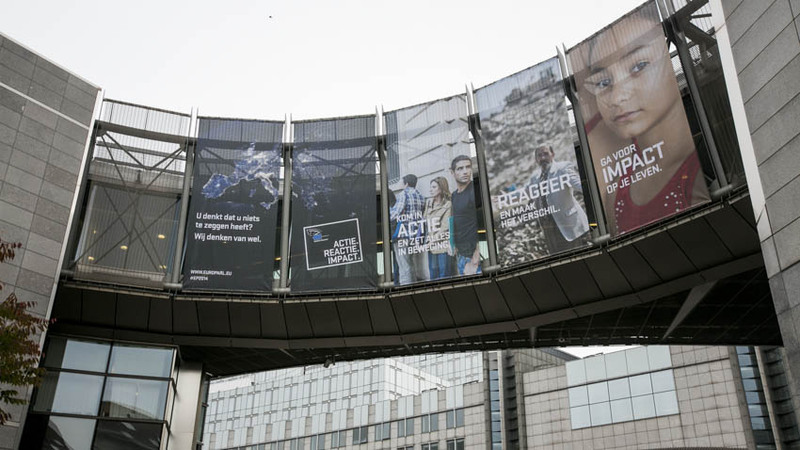 What is it that really matters to people in Europe? A job and a good income are important. But ultimately, these are a means to an end: living a good life. Well-being, or happiness if you want. So can’t EU politicians do more for our well-being? The most important indicator in the EU is Gross Domestic Product (GDP). The Commission collects stats about economic growth, business confidence and consumer confidence every month. GDP is important, but has is limits. Robert F. Kennedy once said that GDP measures everything in life, except that what makes it worthwhile. As an accounting system, GDP has failed. Wouldn’t it be better to focus on people’s quality of life instead? As I’ve argued before, the EU should to use Gross European Happiness (GEH), next to GDP. 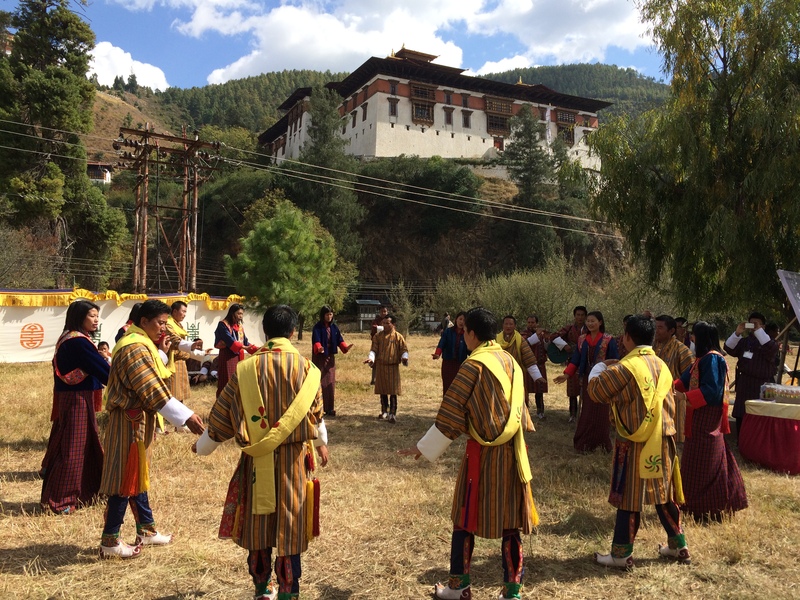 GEH would be based on Gross National Happiness (GNH) in Bhutan, and help informing EU policies. GEH is a lot more complex than GDP. But the Commission has a lot of highly skilled staff. 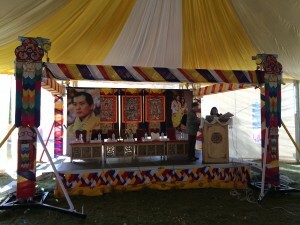 They should be able to grasp what GNH means for the Bhutanese and translate it to European values. They can develop a methodology for GEH, that understand how our economic conditions, community life, free time, (mental) health and education all contribute to well-being. This can be developed into a scoreboard, providing a benchmark on how countries perform – and where they can improve. At the moment there are 28 Commissioners, covering a wide spectrum of topics.In one way or another, all these portfolios affect well-being and GEH; for economic affairs, social affairs, health, environment and education the case is most clear. But these are various silos. To effectively make GEH a reality, we need a strong political steer. Therefore, we need a Commissioner for Well-Being to oversee the GEH process, and also to ensure well-being is fed into all other policies. We could even grant their own Directorate-General; with an administrative French term, it could have DG BONH (Bonheur) as it’s acronym (a bureaucrat is nothing without an acronym). Commission services already assess the impact of their policies on human rights before a proposal is adopted: why not add a ‘happiness impact assessment’ to study whether new policies actually contribute to our well-being? Happiness does not only depend on the circumstances you’re in, but also on the way you deal with them. At school, we learn many valuable things, like math, science and history. Though we spend twenty years in education, we learn little about ourself. How does happiness work? In what ways do our brain and our behaviour function? How can you recognise, and prevent, mental health problems? These are important life skills, and schools should pay attention to them. The EU, for instance, could promote the inclusion of the Five Ways to Well-Being into school curricula. In 2009, the Commission adopted a policy paper on ‘GDP and beyond. Measuring progress in a changing world‘. Since, it has been silent. It’s time to chance that. Go vote. Tell your candidate what you expect from the EU. Tell them to work for Gross European Happiness. It’s about time that the EU honours the EU Treaty’s line that the Union’s “aim is to promote peace, its values and the well-being of its peoples”. Happy International Day of Happiness to all! The United Nations has chosen special days to celebrate all small parts of life. There is a World Radio Day (13 February). An International Day of Forests and the Tree (21 March). The UN calendar also marks something called Vesak, or the Day of the Full Moon in Buddhist traditions. And since 2012, we finally have a UN International Day of Happiness. The decision to establish an International Day of Happiness has been set out in a formal UN resolution. As the laws of diplomacy-speak require, the text is somewhat swollen (“conscious that the pursuit of happiness is a fundamental goal just means: everybody would like to be happy), the text is quite short. The text recognises the need for “a more inclusive, equitable and balanced approach to economic growth that promotes sustainable development, poverty eradication and the well-being of all peoples“. Music to my ears, as I’m convinced that governments have a role to play via well-being policies. 20 March was chosen, because on this day, the sun is on the same plane as the earth’s equator. Day and night are of equal length, creating balance in the earth’s celestial coordinate systems. The idea to have an international day of happiness was raised by Bhutan, which bases its policies on the concept of Gross National Happiness. Though these days can be criticised (should I only care about women on 8 March), it can be a good way to raise awareness and let people think of their own happiness. In a way, the UN recognition is the culmination of years of work that have been done to convince states and international organisation to take happiness seriously. It builds upon Gross National Happiness in Bhutan, but also on comparable initiatives by France, the UK, the EU and the OECD. But enough about official celebration. This is a day for the people. The last months many of our days have been lightened up by the hymn of happiness. Last November, you might have seen the 24 video clip on his website. It is amazing to see how big the song has become since. As I wrote about before, the idea has been taken aboard by people all around the globe, who’ve created their own versions. Tomorrow, the song will be everywhere. Pharrell teamed up with the UN for another ’24 hours of Happy’, based on videos submitted all around the world. Watch this page tomorrow to celebrate the International Day of Happiness! I’ve been hoping for a guest appearance of my friend, alas! People in Vilnius aren’t as glum as the word has it!